Prebiotic and Probiotic Supplements: Which Is Better? There are a number of prebiotic and probiotic supplements available commercially which are mostly geared towards promoting digestive health. Both types have their advantages, although there are a number of factors pointing to prebiotics being better. To understand the rationale behind this claim, read on. A lot of digestive nutritional supplements contain probiotics. These are live microorganisms that provide health benefits to the host. The most common types of microbes used as probiotics are lactic acid bacteria and bifidobacteria and these so-called friendly microorganisms are often consumed in the form of fermented foods like soy products and yogurt. Nutritional supplements that contain probiotics rely on the functions of these microorganisms to strengthen the gut and allow it to keep bad bacteria out, which are often the cause of various digestive problems. Prebiotics, on the other hand, are food ingredients that are non-digestible. Their primary function is to stimulate the activity and growth of good bacteria already existing in the stomach to provide protection against toxins, pathogens and bad microorganisms that will otherwise cause harm to the digestive tract. A lot of dietary fibers have been found to have the prebiotic effect or the increase in healthy bacterial activity in the intestines. Some of the more common sources of these prebiotics are fructan-containing plants, like asparagus, kiwi fruit, artichokes and onions. Because of the rising popularity of prebiotics, food manufacturers have also taken to adding them into daily food choices such as bread, cereals, drinks and biscuits. It is a fact that both offer their own sets of health benefits and both can help improve the condition of the digestive system. However, studies have shown that prebiotics may have the edge over probiotics in terms of efficacy and overall impact on the digestive system. There have been some questions on whether probiotics, when put through manufacturing methods, are able to maintain their level of effectiveness. Some studies have claimed that the impact of probiotics is minimal, particularly after being processed or treated. Manufacturing methods are said to erode the efficacy of these microorganisms. Meanwhile, prebiotics are heat-resistant and are therefore immune to most manufacturing methods. They are non-digestible, which means that their original structure is maintained even after they have reached the human intestine. The fact that they are able to maintain an unaltered state despite being heated, baked or added to food products or supplements helps keep their efficacy level at its highest. In addition, prebiotics are known to stimulate metabolic activity, something that does not hold true for probiotics. Which supplements offer the best possibilities? Although prebiotics may seem like a great option for people searching for digestive nutritional supplement, simply purchasing any product that contains prebiotics is not enough. Consumers should be aware that nutritional supplements that share core ingredients are not necessarily similar. For the most part, it is the manufacturing process and the other ingredients used in making the supplement that make all the difference. For one, supplements that have chemical additives are not as ideal as an all-natural product. There is also the factor of the main source of prebiotics used in making the supplement. A viable option that we have seen in the market recently is Kiwi-Klenz. This product from Xtend-Life is not only prebiotics-based; it is also manufactured in such a way that the focus is on keeping a balance in the digestive system. Effective digestive supplements should not just help in regulating defecation; they should also provide benefits to the overall health of the digestive system. This means protecting the gut from the influence of bad bacteria, thereby staving off common digestive illnesses. 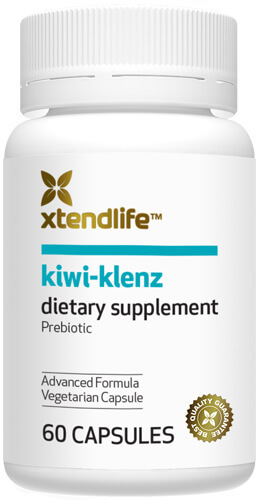 With Kiwi-Klenz, the core ingredient is the kiwi fruit, which is a well-known source of prebiotics. It also contains soluble fiber, phenolics and enzymes that all work together to maintain balance in the gut. In other supplements, all the correct ingredients may be there, but they may not work in harmony with one another, thereby limiting their effectiveness. Kiwi-Klenz’s aim is to keep a digestive balance and this is achieved not just by throwing together ingredients that are supposed to do this, but by also using the right process to make them all work together. Prebiotic and probiotic supplements both have advantages, but for a more comprehensive effect, prebiotics are just better overall. « Are Prebiotic Supplements Children Friendly?